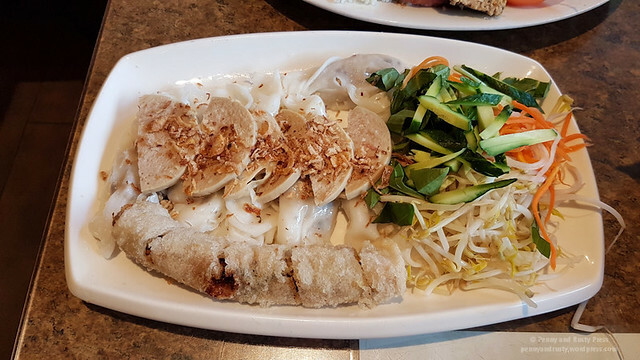 Love of Pho is located in an unassuming mini mall on Kingsway and we dropped by in October to pick up some tasty Vietnamese food. 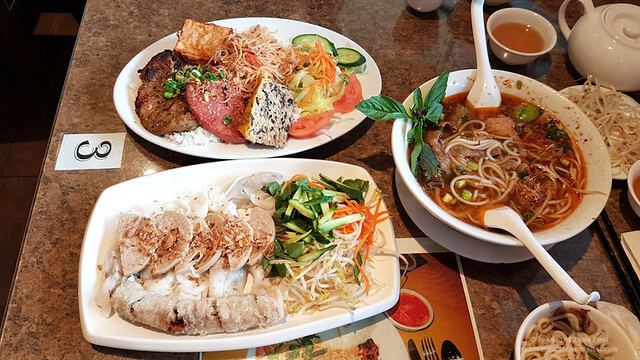 Their menu, like most Vietnamese restaurants, is fairly extensive… mainly from small variations in each offering. We wound up ordering the aforementioned Bun Bo Hue ($9), the Chef’s Special Steamed Rice Roll ($10.50), and the House Broken Rice Special ($13.95). 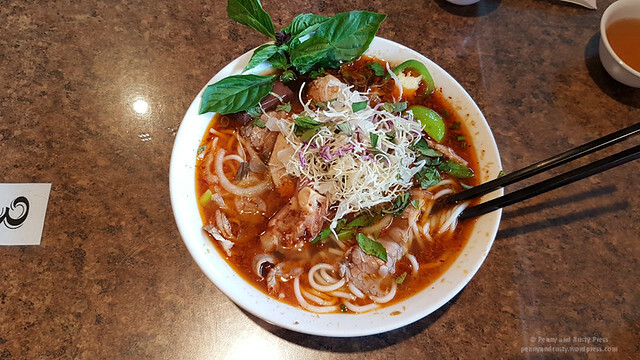 The Bun Bo Hue was a massive bowl filled with large, rounded, slippery noodles as well as beef and pork slices. While being mildly spicy, I didn’t really find the broth overly flavourful. I did, however, find cubes of congealed blood in the soup though. The blood has a firm tofu-like texture and a maroon colour but didn’t taste like much. The Chef’s Special Steamed Rice Roll, or Banh Cuon Dac Biet, were pretty good and came with a crispy spring roll. The House Broken Rice Special included a grilled pork chop, shrimp paste wrapped in bean curd skin, shredded pork, and a meatloaf which was similar in consistency to quiche all served over broken rice. Overall, pretty solid eats at this place but with muted flavours. 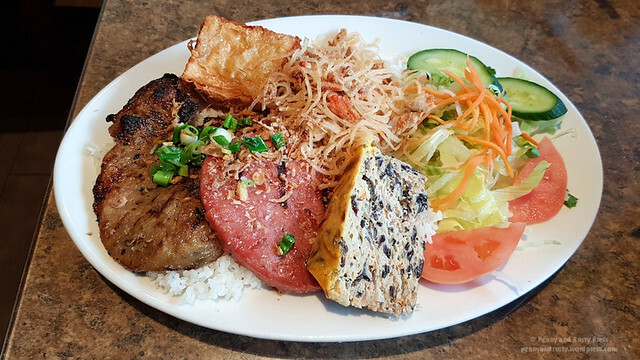 Posted on December 21, 2017, in Restaurant Review, Vietnamese and tagged Broken Rice, Bun Bo Hue, Food, restaurant review, Spring Roll, Steamed Rice Roll, Vancouver, Vietnamese. Bookmark the permalink. Leave a comment.